As we walk through life, we make an impression on the people around us--we leave "footprints" where we walk. **The footprints that we make in life are our legacy, the lasting mark that we make on the world around us. **This legacy is most profound in the influence that we have on our own children, since the character which we develop will be reflected in the lives of our children and grandchildren. In this book, author Charles Stanley teaches how to make that legacy both lasting and godly. He shows you how to teach your children to walk with the Holy Spirit, how to relate to others in a godly way, how to place a high value on God's Word, and much more. 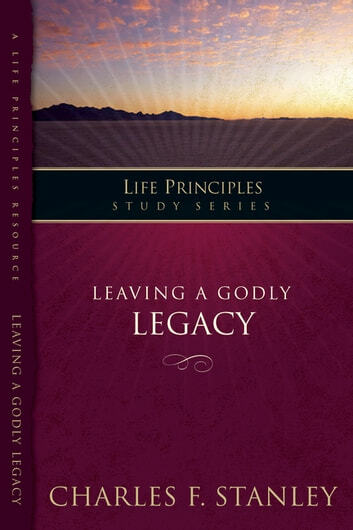 These Bible studies are for any parent, grandparent, teacher, or anyone who works with children, and they will equip you to leave behind a lasting and godly legacy.